Costumes will be passed out from May 1-12 (we are still receiving some costumes). Parents will need to come into the studio and sign out their child’s costume during their class time. Costumes will be not be given to students – only parents. All unpaid balances (tuition, late fees, bounced check fees, etc.) must be paid before you receive your child’s costume. 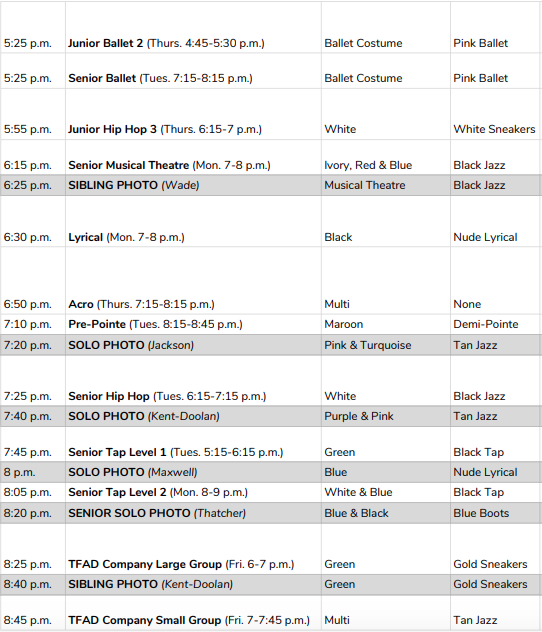 Costumes MAY NOT be picked up on Studio Picture Day (May 13). No exceptions. Each girl will receive one pair of footed tights with their costumes.These are to be worn for photos, dress rehearsal, and recital ONLY. Things happen, so we strongly recommend purchasing 1-2 pair of extra tights per dancer. If your dancer has multiple costume changes, we recommend purchasing a pair of body tights (our older dancers prefer body tights for modesty). Additional tights can be purchased at the TFAD front desk ($5 for footed tights; $15 for body tights). All boys will need mid calf solid black socks (no other color, designs or logos) for Studio Picture Day, dress rehearsal, and recital. Hip Hop 11+ Class (Thurs. 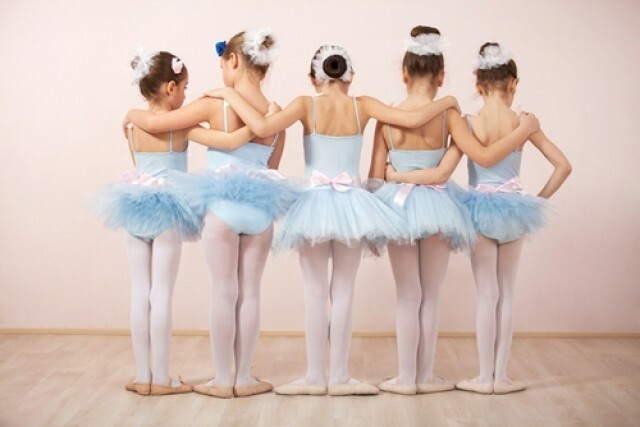 7-8 p.m.) & Junior Ballet Class (Tues. 6:45-7 p.m.): All girls will need a black leotard under their costume. These can be purchased at the TFAD front desk for $20, if they don’t already own one. Studio Picture Day photo order forms will be handed out with your child’s costumes. Please remember to fill these out and bring them back to Picture Day with full payment if you plan to order prints. If you have questions, please see Miss Paula at the TFAD front desk. 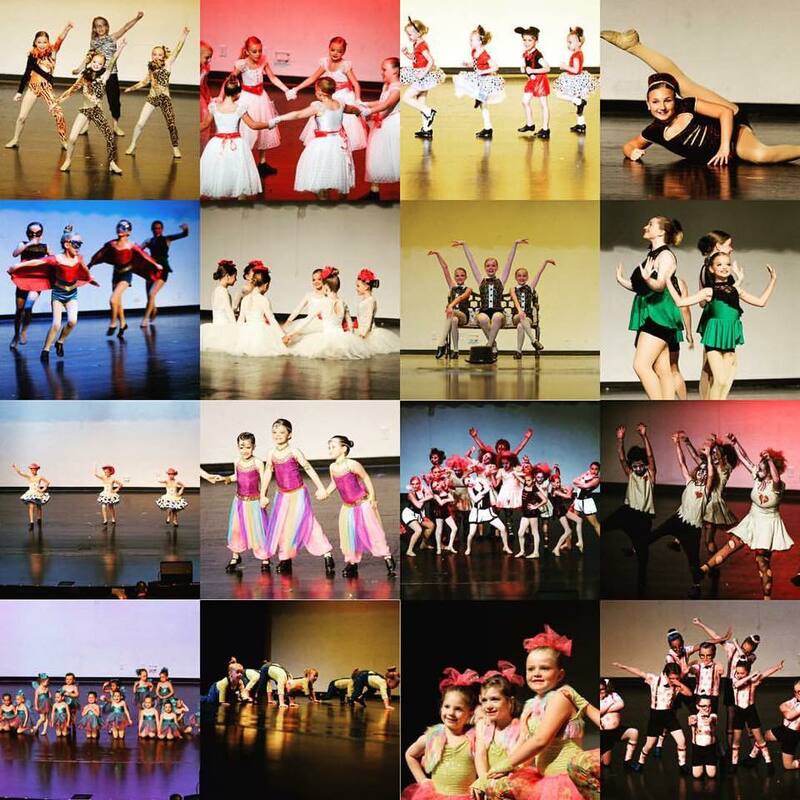 The last day to place orders for leotards, dance shoes, recital earrings, makeup, etc. will be Friday, April 28.